Dr Drew Mikhael is Research Fellow with the Exclusion amid Inclusion: Power-Sharing and Non-Dominant Minorities project. Drew’s work is primarily concerned with the marginalisation of non-ethnic and non-national groups in divided societies, with a focus on consociational power-sharing systems. Drew is chiefly interested in the institutional methods of control employed to constrain these groups and the impact that their exclusion has on their lived experience. Drew’s research interests include ethnic politics, comparative politics, political violence, youth political activism, refugee issues and institutional design in divided societies. 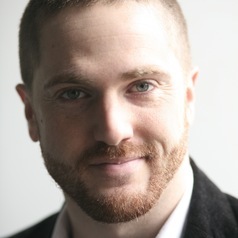 Drew’s PhD was from Queen’s University Belfast and was awarded in 2014 and explored how Lebanon’s consociational power sharing employed control mechanisms to constrain its Palestinian refugee population. Drew has conducted commissioned research work and provided advisory services for a number of large Non-Governmental Organisations such as United Nations High Commissioner for Refugees, British Council, European External Action Service, Christian Aid and Action Aid.